Composer Seeking Projects! — Welcome to the GameSalad forum! My name is Darren Curtis and I'm a musician/composer. If anyone is looking for a composer, I would be delighted if you considered working with me. I can offer most any genre or feel. Whether you prefer a piece with real sounding orchestral instruments, retro, midi sounding tracks, or even chiptune tracks, I can accommodate. Rather than write a paragraph or two about what I do, I'd rather just post some examples so you can hear the results and judge for yourself whether you like my style or quality. I'm still available for work and I have some new tracks posted. Be well everyone! After a short leave I am back. I have several new pieces uploaded to Soundcloud and am searching for more projects. Best wishes everyone! New pieces up and added to my portfolio! Bumping this up. I have new pieces added to my soundcloud. Hope everyone is well. Added a new piece to my Soundcloud entitled "Your Journey." Still looking for another project! Bumping up for more interest. More music added to my Soundcloud. Great stuff man! I love the style - best of luck with business. Thank you very much! I appreciate the kind words. Still open for work! Have updated my Soundcloud with several new pieces. Best wishes! Added new pieces to my Soundcloud. I hope everyone enjoys! New pieces up to Soundcloud. Just finished doing a couple small games from here. Always looking for more. Best wishes, all! I have some free time in December if anyone is interested! 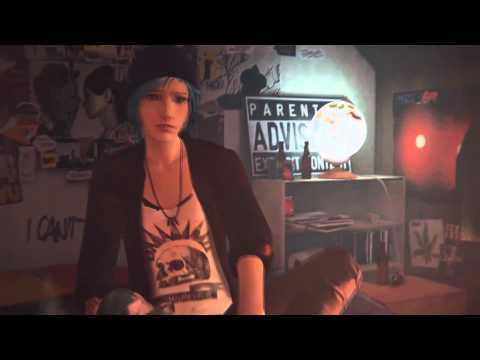 Just did a re-score of the SquareEnix trailer for their project "Life Is Strange." @DarrenCurtis I'm looking forward to that game. A bit on the sad side but still very fitting re-score in that trailer, nicely done! DarrenCurtis I'm looking forward to that game. A bit on the sad side but still very fitting re-score in that trailer, nicely done! Thank you! I'm glad you liked it. Yes, it does seem like a very interesting game indeed! Are you still looking for work??? Also, how much do you charge??? I have some time coming up this month if anyone needs any music. It's been awhile! I have some upcoming time if anyone is interested. It's been awhile since I've posted on here. I've been spending a good bit of time working on "Chronicles of Eldwyn." The link takes you to a battle video posted in the developer's diary which showcases some of my music and some other custom work being done for the game. I hope you're having an awesome week! I've got some new tunes up, several of which are royalty free. They're also mostly dark pieces since they were done in October in the spirit of Halloween. I hope everyone enjoys and they're able to help out! I've just put together a reel for a few of the pieces I've composed over the past year. I tried to vary the styles a bit, though sadly I wasn't able to fit in as much as I would have liked to in such a short time frame. Just bumping this up as I now have some free time to start this year. I hope everyone had a great new year! I've got a few new pieces uploaded to Soundcloud. The newest of which is an Indian/Orchestral hybrid.